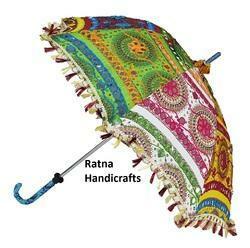 Ratna Rajasthani Umbrella for decoration and other purpose. 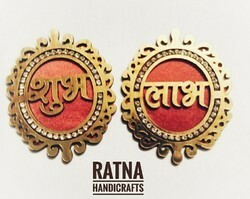 The piece can be used for decoration at all times. 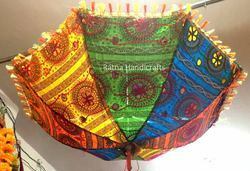 Ratna Rajasthani Umbrella for decoration for all events and all purposes. 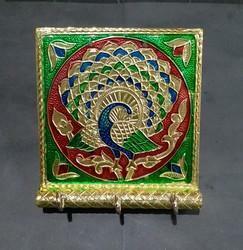 The piece can be in multicolor and design. 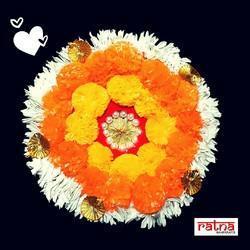 Fancy Kalash Decoration Set of 4 Pillars. They are assemble set of Kalash of different sizes. The color options are available on order.